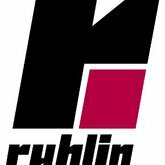 The Ruhlin Company was established more than 90 years ago. They are known today as one of leading organizations in the world of construction. The Ruhlin Company is in to the field of constructing various minds of structures including general contracting and construction as well as design build. They have vast experience in various sub-segments that would comprise of healthcare, education, historical renovation, governmental and municipal buildings, industrial constructs, energy conservation and alternate energy generation, heavy civil build ups, bridges, dams, highways and transportation structures. The Ruhlin Company made noteworthy mark by offering the employees stocks through ESOP program resulting in 82% of the company's common stocks being owned by the employees. There are currently 0 consumer reviews about The Ruhlin Company available. Share your review. Please take a note that you are about to post a public review about The Ruhlin Company corporate office on CorporateOffice.com. This review will be public, so please do not post any of your personal information on this website. If you would like to contact the corporate offices of The Ruhlin Company, please use their contact information such as their phone number, website, and address listed above to contact them. However, sometimes staff from The Ruhlin Company headquarters do read the reviews on this website.